For just a short trip or a stop on your Portugal Road Trip, a Lisbon City break is always a good idea. 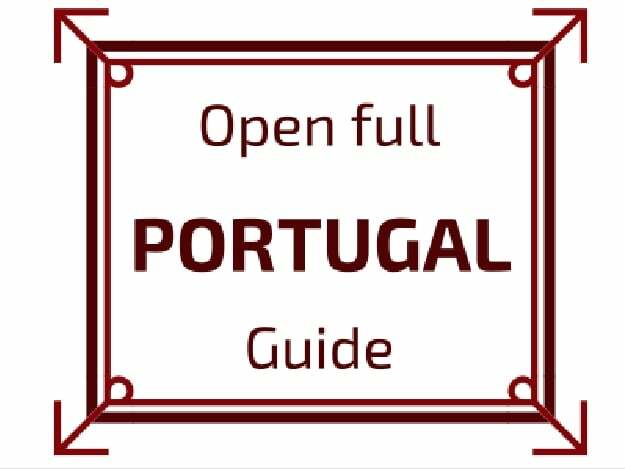 Below is my guide to help you plan a fantastic Lisbon itinerary with Where to stay, how to get around, what to visit, the best views and some great Lisbon city tours. 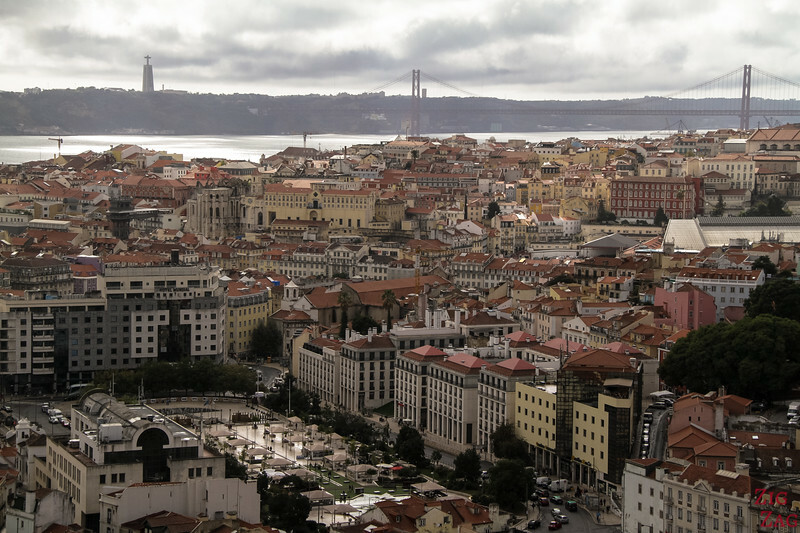 All you need to visit Lisbon in 3 days or more. Lisbon is one of the oldest city in the World. it is often referred to as the "City of Seven Hills" and many marketing names are using that concept. However Lisbon has more hills than just 7, but you can list the most famous and reach that number. The advantage of having so many hills it that you get some great viewpoints over Lisbon from every direction. One of my favorite views is from the fortification walls of the Lisbon Castle: You can see the Tagus river really well and admire all the center of the city. 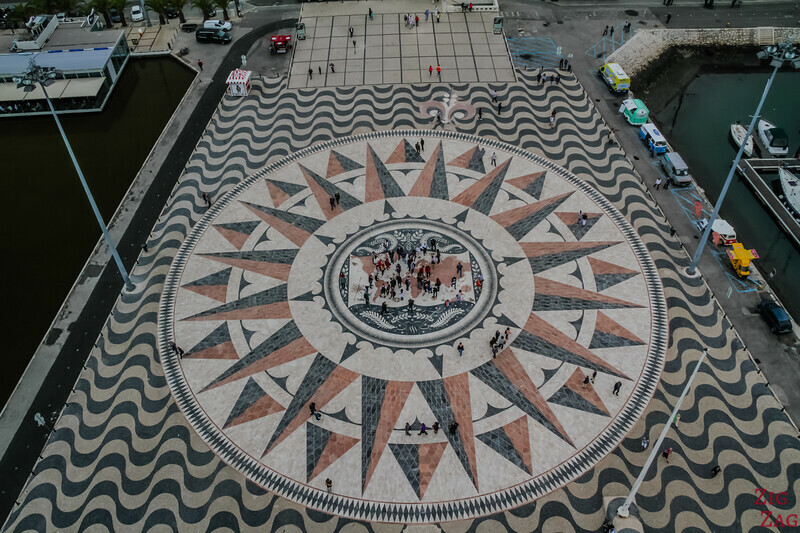 Another great angle is from Miradouro da Senhora do Monte. It is a great platform, high on the hill. There are views in many direction, including the Castle itself. If you are planning to visit many monuments while staying in Lisbon, consider the Lisbon Card including entries and transportation. Check out what it covers. 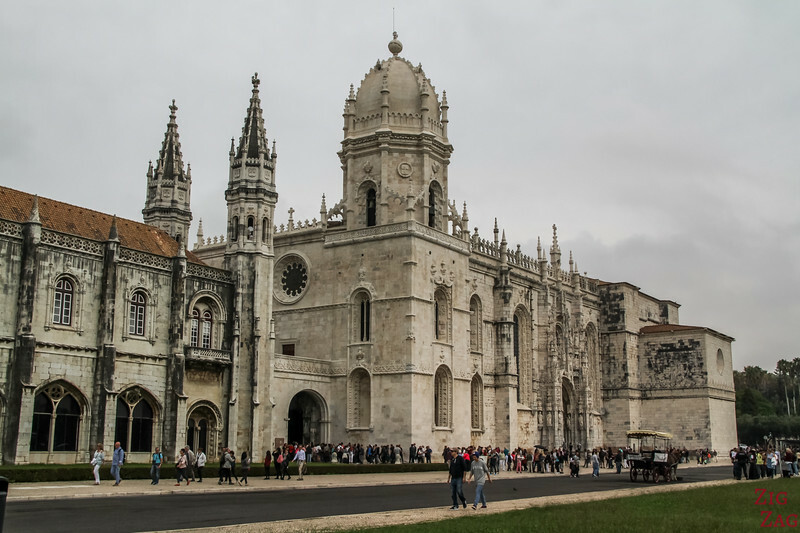 One of my favorite places to visit in Lisbon was the Sao Vicente Monastery. It is not as visited as other monuments but it has an incredible collection of Azulejos tiles; They are everywhere! I really recommend it on your Lisbon City Break. Both the church and the monastery were built in the 17th century outside of the city walls. The monastery actually dates back to the 12th century and was the most important monastic foundations in medieval Portugal. The current buildings were a reconstruction by King Philipp II of Spain. You can first visit the church for free, and then enter to the right and explore the many corridors and rooms of the monastery. 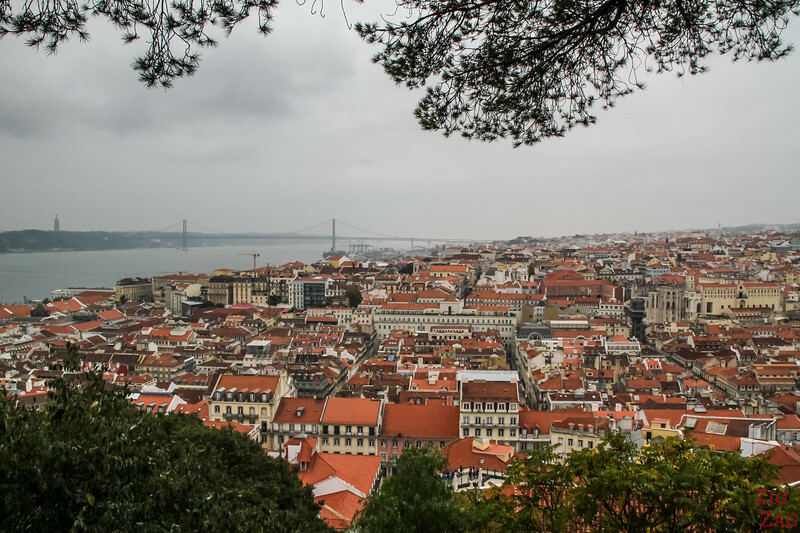 One of the main monuments people visit in Lisbon is the Sao Jorge Castle (Castelo de Sao Jorge). On top of a hill, you really can't miss it! THe castle itself is not the most fascinating I have visited. But the park and fortification walls offer splendid views of the city! People like going up there to drink a glass of wine while watching sunset. 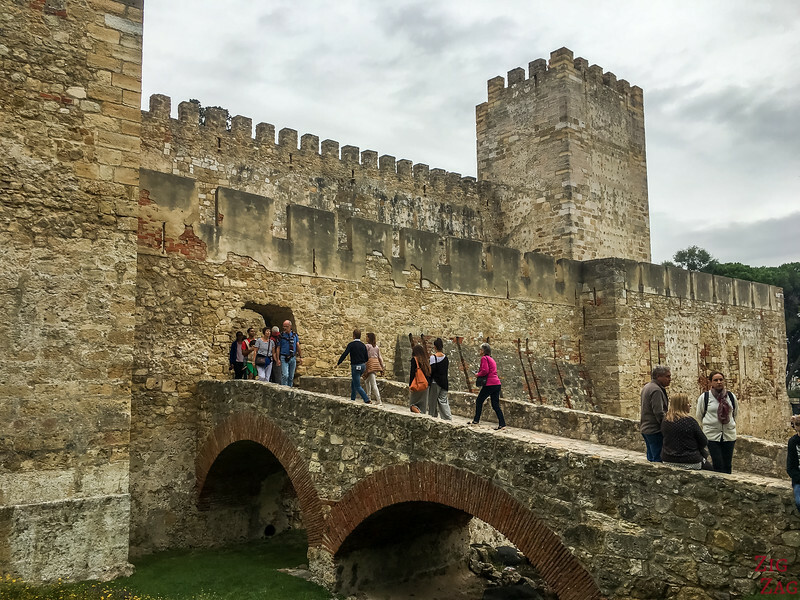 Learn more on my article about the Lisbon Castle. 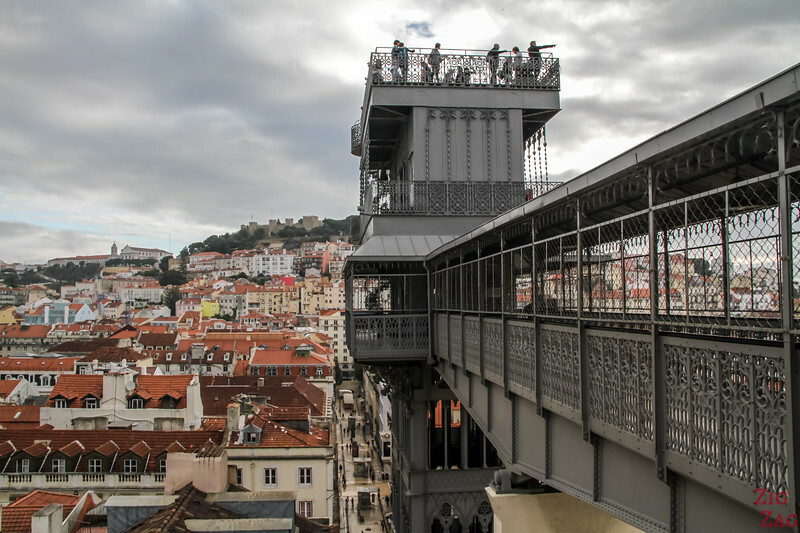 Inaugurated in 1902, the Santa Justa Lift is a landmark in Lisbon. It is a fascinating iron structure of 45m (148ft) in height. It was designed by a student of Gustave Eiffel and allows people to easily climb one fo the hills. Built in the 16th century, the Jesuit church does not look like much from the outside. But wait until you get inside!!! 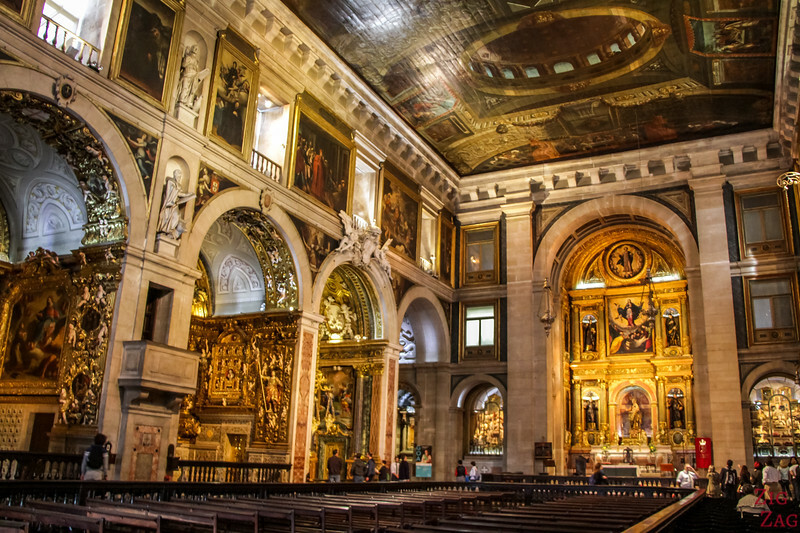 It contains a lot of chapels i the Baroque Style from the 17th century. You see gold everywhere and an impressive painted ceiling. One of the 18th century chapel was reportedly the most expensive chapel in Europe. The only problem is to decide where to look first. 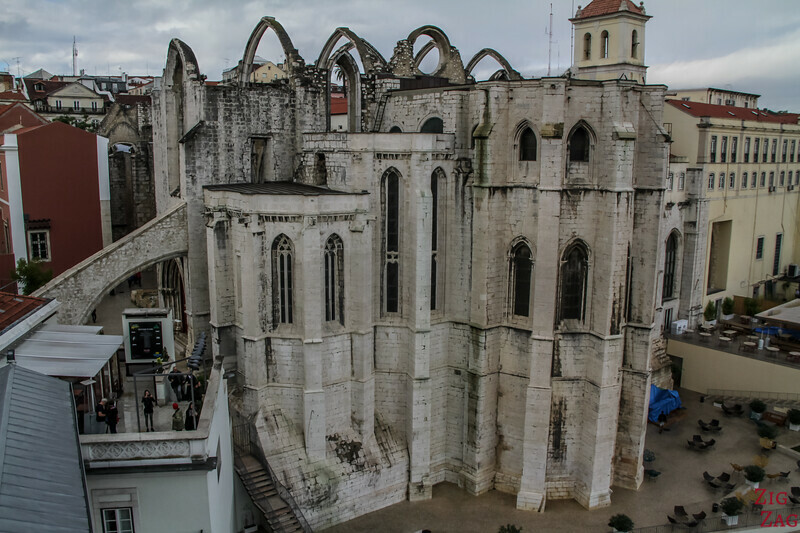 The Carmo convent offers the visitor one of the main remaining ruins standing after the 1744 earthquake. It had been founded in 1389 by the Carmelite Order and was home to 5000 books. Today was remains has been turned into a museum by the Association of archeologist. The displays include a very heteroclite collection. Learn more on my article about the Carmo Convent. Originally the Church of Santa Engracia, it was converted to the national Pantheon in the 20th century. 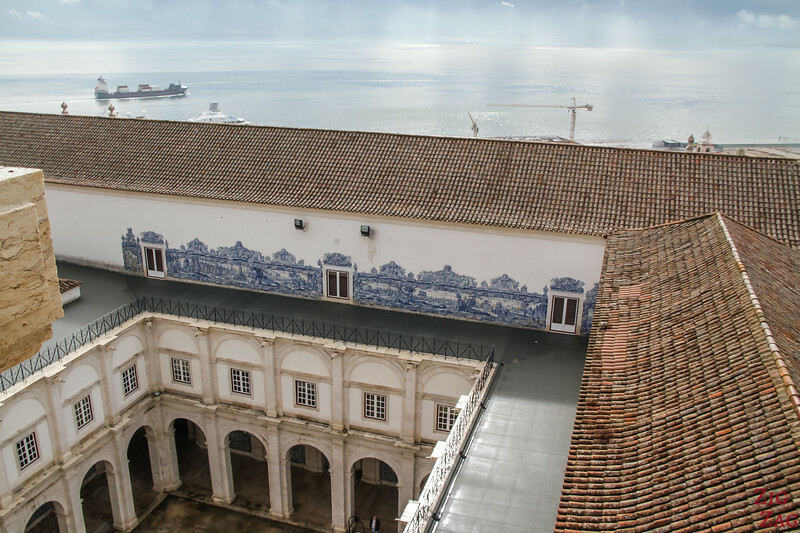 One of the best views of this building is from the Sao Vicente monastery. You can visit the Pantheon and discover the tomb of famous Portuguese personalities. And after that you can climb to the coupole and get out on the roof. There are of course other monuments, churches and museums to discover in the center of Lisbon, but those were my top 6. 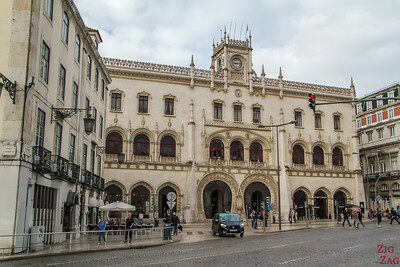 The other famous neighborhood of Lisbon is Belem. 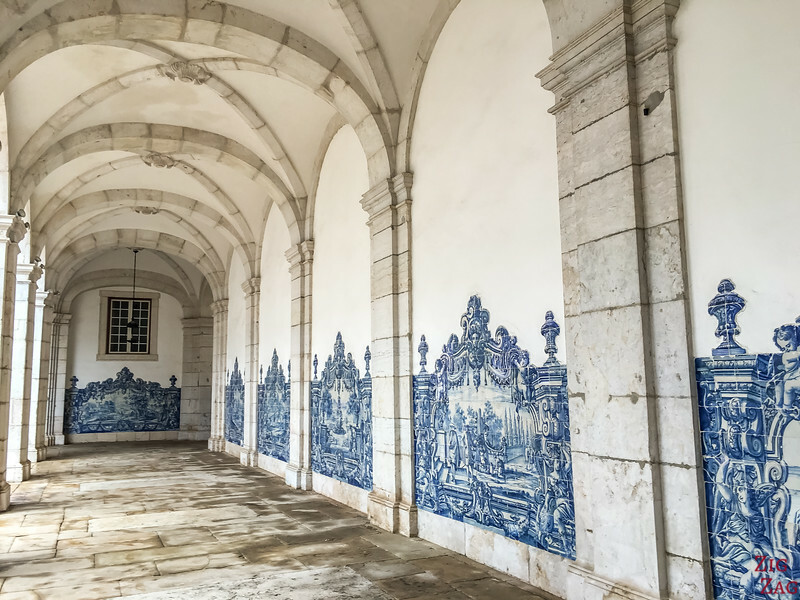 Some fo the most impressive architectural pieces in Portugal can be found there as well as renowned museums. 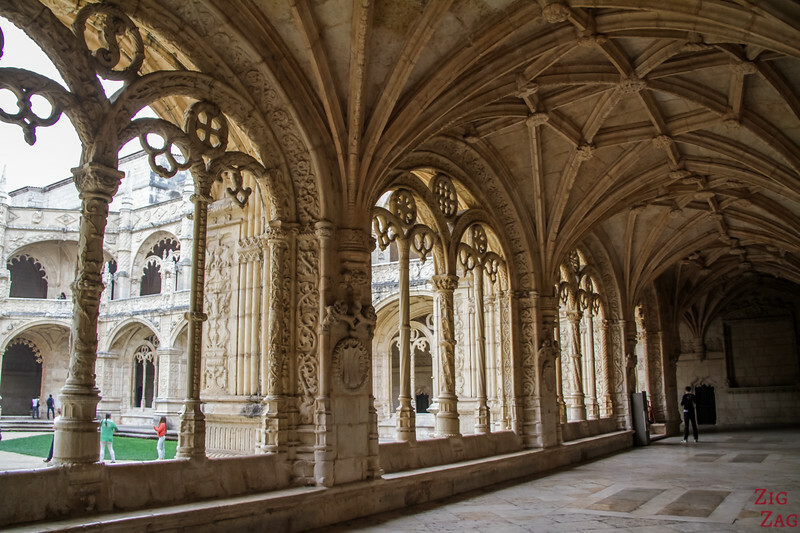 The Jeronimos monastery is absolutely Grandiose. It was classified by the Unesco along with the nearby Belem Tower. Built in the 16th century, it has been designed in the Manueline style with rich ornaments. The main cloister is gorgeous from every angle. The Façade of the church was modified in the 19th century. Try visiting as early as possible to avoid the crowds. Built in the 16th century, it us one of the most famous monument in Lisbon. The Unesco World Heritage site is a 30m high defence system on the Tagus river decorated in Manueline style. I recommend going to the square to admire it from the outside. But if the queue is long, I think it is not worth it to get inside (and queue again inside to get to the top). 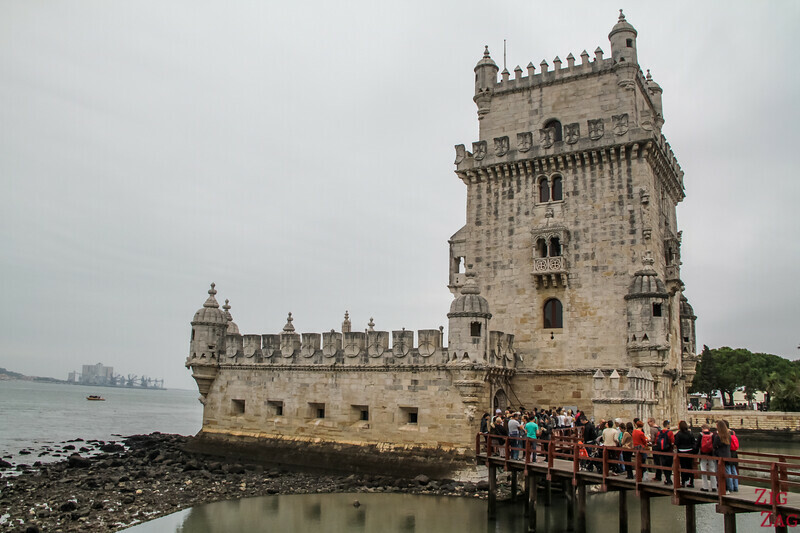 Learn more on my article about the Belem Tower. Another more modern tower has been built near the Belem Tower. It celebrates the Age of Discovery (or Exploration) during the 15th and 16th centuries. Built in the 20th centry, the viewing platform offers great panoramas and a view from above of the giant wind rosace. 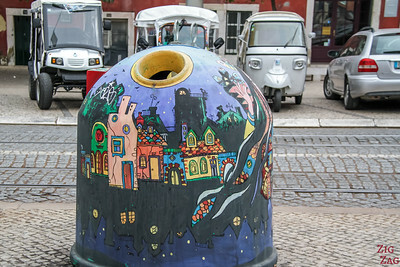 To get easy access to all main historic sights, the neighbourhoods of Baixa and Chiado are the most practical. 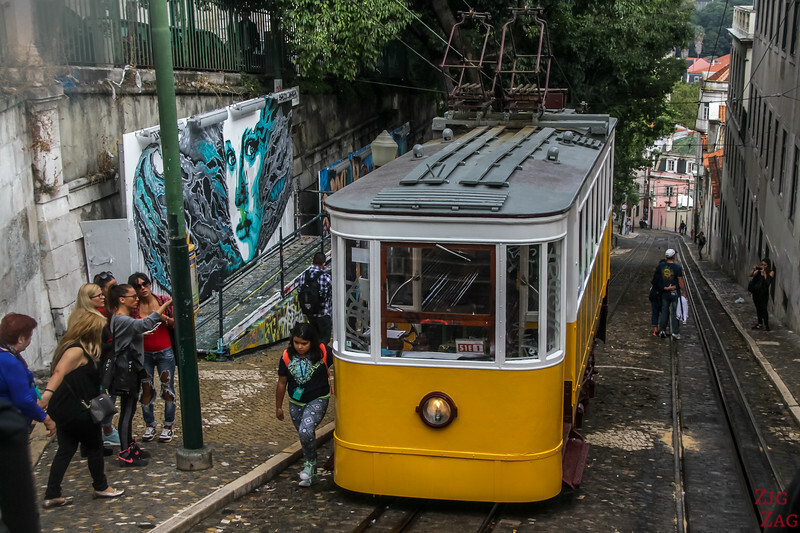 The most common way to move around Lisbon and visit the various monuments is by walking and using the Funiculars to climb the hills. However the touristy ones get crowded fast so you can also hire a tuk tuk to get up hill. Join a tour to learn more about the city and what to see. Check out my suggestions in the next section. A taxi can also be a good option. For example, I took a taxi from the Belem Tower to the St Gorge Castle and it saves me a lot of hassle and time for something like 15 euros. Personally I had booked a van and it was really practical. Check out Private Transfers. I found the price reasonable. Taste the flavors of Portugal! 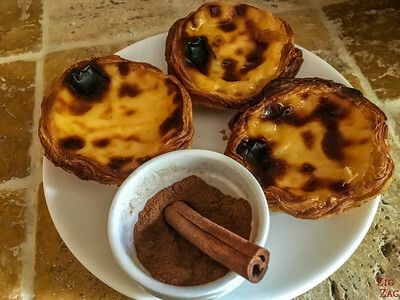 Join a Lisbon food tour for 3 hours discovering local eateries. 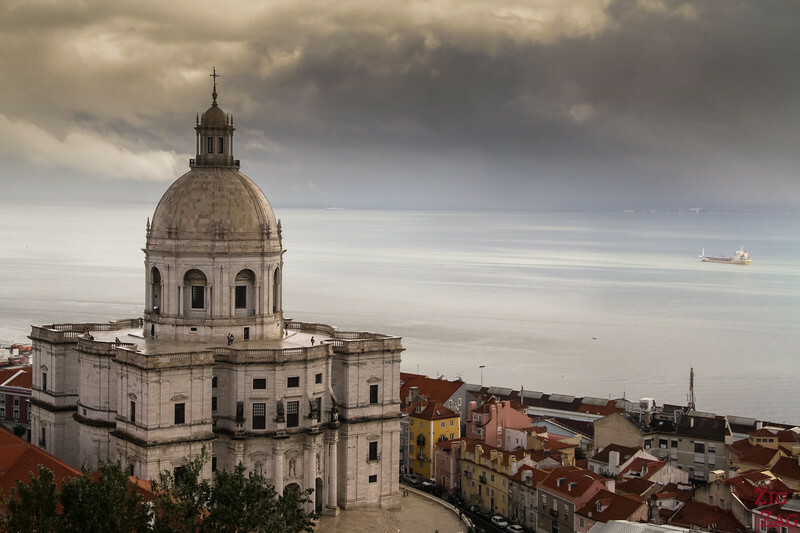 Get an insider's view of Lisbon on a private guided walking tour: visit historic neighborhoods, ride on a vintage tram, and see old cafés and boutiques. Change your perspective and see the whole city of the Lisbon from the Tagus river at sunset. 2 hours off the coast. If you love searching for the soul of a city and listening to live music, then experience the live 'Fado in Chiado' show and discover the music that expresses the true soul of Lisbon and has been declared Cultural heritage by the Unesco. Graffiti, Urban art and large scale installations, visit Lisbon with a different viewpoint. For those who don't want to walk around but still want to enjoy the outside, discover the city with minimum effort using electric bikes! 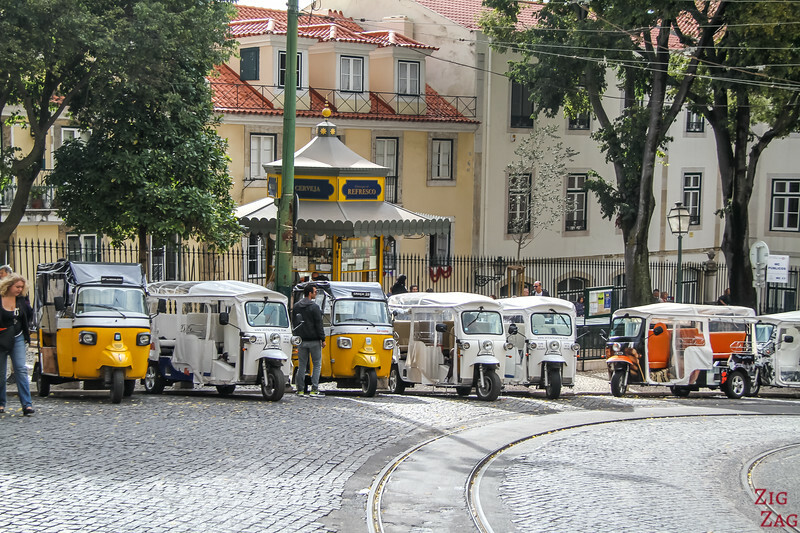 Cruise some of the “7 Hills of Lisbon” in an eco-friendly way. And cut the weekend with a discovery of the Unesco town of Sintra. It has some incredible palaces to explore, especially the Pena Palace. You can book a private tour to Sintra or join a small group tour that also includes the cliffs of Cabo da Roca and the beaches of Cascais. If you decide the stay a whole week in Lisbon, I recommend the 3 days as above and to get out of the city for the remaining days. There are many great day trip to enjoy from Lisbon. You can find my whole selection with information on my article about the best day trips from Lisbon. I wish you a great Lisbon City Break! Great guide and info! Ty!